Dear One, awaken. I am Astrea Moon, returning to your consciousness to assist you in removing your first veil of illusion. As you look around you see that we are in a huge, crystal hallway within the Crystal Temple. As you move down the hallway, feel your body becoming lighter, and lighter. At the end of the hallway is a Golden Doorway. In the future you shall arrive at the other side of the door, but for the first time, you are here so that you can adjust, gradually, to this higher vibration. The circle in which your veils of illusion will be released exists in many dimensions. When the doors open, you will take on the highest vibration that you can consciously experience while being “awake” in your third dimensional self. Take a slow, deep breath now and prepare yourself, for initially, you may feel discomfort. Gradually, your breathing helps you to integrate your masculine and feminine polarities. As you begin to remember your SELF you feel the “fire” inside of you and the buzzing becomes a whisper. Time and space are lost. You are everywhere and everywhen, frozen to the spot, at the same time as you are moving at the speed of light. As you continue your integrative breathing, breathing-in your inner Goddess/Love and breathing-out your inner God/Power, you slowly adapt to this higher vibration. Your vision returns, and you clearly hear my voice. You are now able to walk through the door. As you consciously move through the door, the frequency of your form accelerates enough to “burn off” any part of your ego/self this is afraid to commit to releasing old illusions. Those parts of you that are afraid to change must be released, as they will diminish your commitment to transformation. Do not resist this process. Instead hold on to the “you” that remains, and trust your SELF. You are ready now to enter the Circle of Light. As you enter the Circle, Sister Venus removes a veil of illusion as you hear her saying, “Beloved, the first veil is the illusion of Time is Money. Time and money are both important only on third dimensional Earth, yet neither has any value in the higher dimensions. The formula for this illusion is based on the belief that one must have money to survive—it takes time to make money—therefore, only so much time can be expended on spirituality and creativity, as time must be spent on making money for survival. Brother Mars takes the veil and you hear his voice, “On the fourth dimension, there is still time, but it is different than on the third dimension. What could be years upon the physical plane could be minutes on the Astral Plane. Within the time era in which your physical form lives, there is a transition occurring. The third dimension has already collapsed into the fourth dimension, and the fourth dimension is now collapsing into the fifth. Think of a collapsible travel cup where the smallest portion of the cup is at the bottom. Therefore, the bottom of the cup collapses into the portion of the cup just above it, which is a bit larger. Much like the travel cup, the third dimension has collapsed into the fourth dimension, and is now collapsing into the fifth. Nothing will cease to exist. However, your “physical” vibration will continue to alter in order to accommodate the resonance of the higher dimensions. Some of you will decide to stay in the fourth dimension, some of you will choose the fifth, and others will choose the sixth dimension and beyond. “You may have been surprised when I said that Earth is already fourth dimensional, as you have likely been unaware of that fact. You see, when Astrea Moon first escorted you to the forest, you temporarily suspended your belief in third dimensional illusions. Therefore, you were able to see the mutable reality of this dimension. I say ‘this dimension’ as our Temple resonates to a wide spectrum of dimensions, just as Gaia does. Some of you are experiencing me from your fourth dimensional Astral Body, others are experiencing me from your fifth dimensional Lightbody, and some are able to experience me from the higher dimensions and/or from your Oversoul. We have come to assist you in the release of your illusions, for they are truly the only reason why you are still having a third dimensional experience. I am aware that this sounds too simple to your third dimensional logic, but is not the Truth always simple? “Within the illusions of your third dimensional reality, you must take time to make money. However, in the fourth dimension, the passage of time is dependent upon one’s activity. Time is most enjoyable and passes most rapidly when you are enjoying an artistic endeavor. Therefore, upon the fourth dimension, ‘time is art.’ Many of you are experiencing an intense urge to express your creativity and resent the “time” you still believe must be spent on work. In the fifth dimension and beyond the only time is NOW. Since you can instantly manifest whatever you desire, there is no need to work to survive. In fact, there is no concept of work at all. Within the Unity of Now, you travel the Flow of Universal Energy to gain the appropriate experiences for the fulfillment of your Mission and the expansion of your SELF. “Apollo Sun then steps forward. As he takes the veil of illusion, it bursts into a flame of pure light. “Time is Money,” he begins, “is an illusion that was created to insure survival in your ‘modern’ world. However, ‘survival’ will soon mean something quite different. My third dimensional Solar System is changing greatly as it enters the greater light of the Galactic Center. The glowing plasma at the leading edge of my Solar System has recently increased 1,000 percent. “The Sun itself has a magnetic field, which creates an “egg” around the Solar System known as the heliosphere. The heliosphere is shaped like a teardrop, with the long, thin end of the drop pointing in the opposite direction from the direction in which we are traveling. It appears much like a comet, with the tail pointing away from the Sun. The highly charged Cosmic Light is exciting my plasma, causing more of it to form. The increased plasma flows into the Sun creating greater luminosity and brightness. 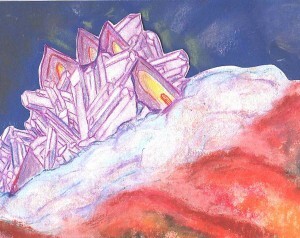 In turn, this energy spreads out into interplanetary space, charging up and transforming the energy of all my planets. “For example, Mar’s atmosphere is getting thicker, Earth’s moon is growing an atmosphere, Venus shows a marked increase in brightness, and Jupiter is forming a visible tube of ionizing radiation connecting it to its moon, Io. The magnetic fields of Jupiter, Uranus, and Neptune are increasing, making the planets brighter and changing their atmospheric qualities. Uranus, Neptune and Earth are all preparing for pole shifts, and natural disasters on Earth have increased over 400 percent since 1963. *Dr. Dmitriev in Russia, Dr. Mike Lockwood of California, and Michael Mandeville are all documenting these changes if you wish to do further research on your return to the third dimension. “My entire Solar System is changing, and ALL of my inhabitants are transforming. Hence, “survival” has taken on a new meaning. What will survive, and how? As the frequency of energy continues to expand, the basic wavelengths that my Sun emit will continue to change. This expansion will, in turn, change the basic nature of all matter in my Solar System. The planets are being pushed slightly further way from the Sun, which will make them resonate to a higher level of vibration represented by a bigger sphere. As each planet moves into a higher resonate frequency, based on its position to the Sun, they will expand in size due to the higher energy expanding their core. The atoms and molecules that make up each planet will expand as well, changing how the planet functions and what kind of life it supports. This process, which begins with the Sun, continues into the DNA for ALL life for my entire Solar System. Please ponder—if time were money—how would you SPEND your “time?” I shall return to you soon. I AM Astrea Moon, returned to remind you to see the circle of light around you. It is that simple. In order to participate in this process all you need “do” is to choose to imagine that you are participating. Feel within you the power of choice. You may use this power in your everyday life to choose to remember your true, multidimensional SELF. Apollo Sun takes the veil and consigns it to flame, as he continues, “Dear One, so many of you have suffered because you have felt unloved and unlovable. For many of you, the sorrow that has come to you from the illusion of lost love has been your most difficult life lesson. Know in your heart of hearts, love can never die. Love always remains in the Soul of the lover and the loved ones. Love is a Soul quality and, therefore, rises to the level of Soul. Even if the being is to die, it does not matter because the Love shall automatically be passed up to that one’s higher body. Remember that there is no true sorrow, as there is no true separation. Separation is the ultimate illusion, particular to the planet Earth. All life on my Sun is fifth dimensional and beyond. Hence, on the Sun we are all ONE. Remember all the love you have ever given. Know that it lives forever within you and within the heart of its recipient. With the release of the illusions of “Time is Money” and “Sorrow” you have found the courage to take the first step towards BEING your SELF in daily life and seeing through your Eyes of Soul. 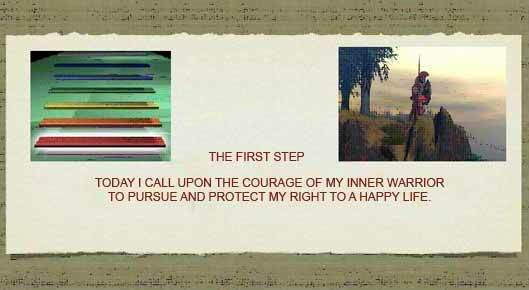 Repeat this Mantra in your waking life to assist you to remember your dreams and meditations. I AM Astrea Moon, here to remind you that you are in the Circle of Light. Each time you come here it is easier for you to accept this higher frequency. Take a moment to consciously register this resonance so that, when you return to your physical life, you can calibrate your consciousness to this vibration. As Sister Venus hands the veil to Brother Mars, he says, “If you could see this energy field of hard work, it is doubtful that you would ever indulge in any activity that would create it. Many molecules are moving towards each other in dissonant patterns. It is no wonder that you often experience fatigue. In fact, the basis of human ‘aging’ is the concept and activity of hard work. Whenever you indulge in a given energy field, your personal energy field becomes aligned with it. “Therefore, when you move into the energy field of hard work, you have the unconscious experience of many molecules colliding with each other. Each individual molecule tries to either hold its position or infringe on another’s. This constant energy battle dissipates your vital forces, which stresses and weakens your physical body and robs it of vital healing nutrients. During these minutes, seconds, hours or days that your physical body is denied its life force, it begins to ‘die’ until you can cease the work and rest. When you rest, your body can be healed and replenished. However, some cells are irretrievably damaged and the body dies bit by bit. Apollo takes the veil and releases it to the light saying, “Throughout the centuries, hard work and bravery have been associated. I am particularly familiar with this third dimensional association, as many throughout the ages have called to me for bravery. The association of hard work and bravery is correct on the highest level, as the ultimate bravery is to face death, and as Brother Mars said, hard work is indeed a slow form of death. Since you are on the cusp of your conscious ascension into Lightbody, you are beginning to associate death with re-birth. With this association, bravery also takes on a new meaning. Bravery then represents courage, not to face death, but instead, to face a new life. Catch your self as you sigh and think, “I am working SO hard.” Is that the reality that you wish to create with your thoughts and feelings? How are you doing at remembering this process in you third dimensional life? Be patient with yourself. If you are able to remember your process only one time a day for one minute, or one second, then you have integrated your higher dimensional process into your third dimensional life. Remember, even the strongest rain storm begins with one drop. As the veil is given to Brother Mars he continues, “Questioning is much like wanting. Wanting denotes that you do not already have. Thus, wanting pulls you out of the cosmic Flow of All That Is. Questioning acts in much the same manner. When you question, there is an underlying energy field that believes that you do not already Know. This separates you from the Flow of the ONE. In order to release the illusion of questioning, you need to surrender to this Flow. Within the NOWNESS of the Flow is the Universal Mind, which is a database of answers to every question that was ever asked in the past, present or future. Once calibrated to the Universal Mind, you can download information much as you access your physical brain. “Try not to question this concept. Instead, take a moment to experience the difference. First, ask yourself a question. As you can see, to question dissects your consciousness into individual words and concepts. Centering your thoughts and feelings on your Third Eye or High Heart, use that Portal to step into the Flow. Feel the welcoming Unconditional love that signals your arrival. Just as you stepped into the Flow, step into the Universal Mind. Visualize your brain as a neuron in the Universal Mind. As you merge with the Universal Mind. Consigning the illusion to flame, Apollo Sun speaks, “Understanding is the opposite polarity of questioning, as you do not have to question what you understand. Your Soul/SELF has communed with your consciousness and knows exactly what you need to be aware of to further your understanding. However, your ego/self is still insecure and impatient. Insecurity comes from the illusion of separation from your Soul, and impatience comes from the illusion of the limitations of time. 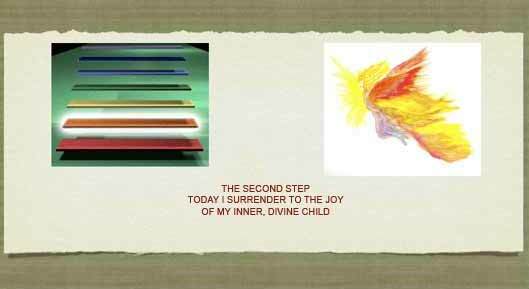 With the release of the illusions of “Hard Work” and “Questioning,” you have recovered the joy of your Divine Child and taken your second step towards being your SELF in daily life and seeing through your Eyes of Soul. Repeat this Mantra in your daily life to assist you to remembering the feeling of your dreams and meditations.